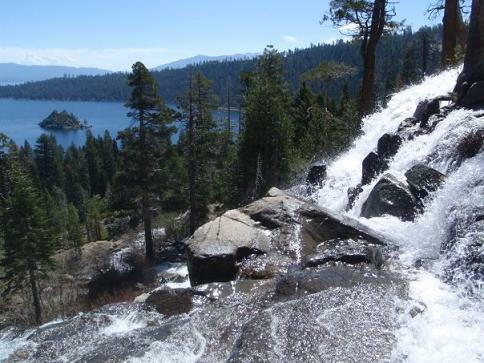 Eagle Falls Trail can be accessed from SR Hwy 89 at Emerald Bay, Lake Tahoe, California. 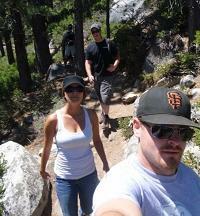 The hike is 1/3 mile up to Eagle Falls, and a 2 mile round trip hike up to Eagle Lake. The Eagle Falls Trail, can also be accessed from the bottom of the Vikingsholm Trail where Vikingsholm Castle is located. 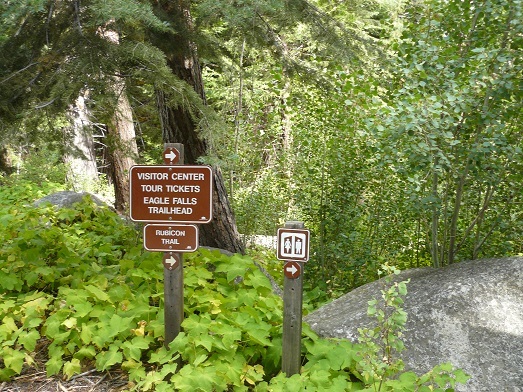 There is a trail marker that will point you in the right direction to Eagle Falls. The YouTube Video slide show below was produced by Leigh Storz, the Owner of Truckee Travel Guide, using photo's taken by my son, Ryan, and his friends, Troy, and Katie on a Lake Tahoe hiking trip in Summer 2010. 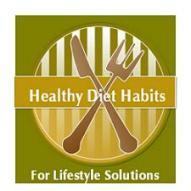 They kindly gave me permission to use their photo's. 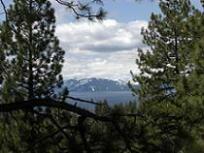 See also, the video of their hike on the Cascade Creek Falls Trail, also accessed from the Emerald Bay, Lake Tahoe area. Once you pass Eagle Falls, you will go over Eagle Creek on a steel footbridge just above the falls, and you can continue on into the Desolation Wilderness area. You can continue on the trail another 3/4 mile to arrive at Eagle Lake, where the scenery is beautiful! 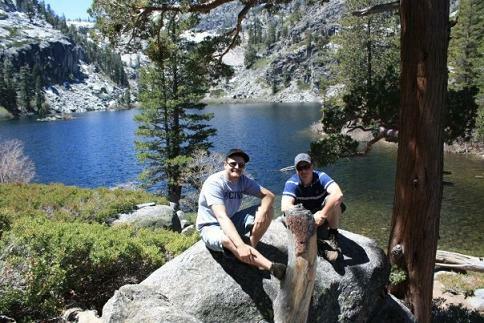 Eagle Lake is located in a sheltered basin surrounded on two sides by steep granite cliffs. If you continue up the trail another hour, you will arrive at Upper Velma Lake. 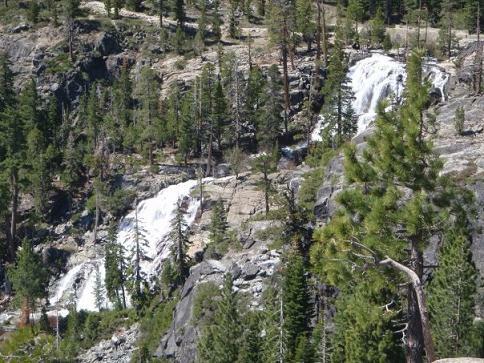 Eagle Falls is best viewed in May or June, when the snow runoff is at it's peak. 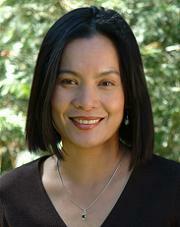 The Falls flow usually until July.